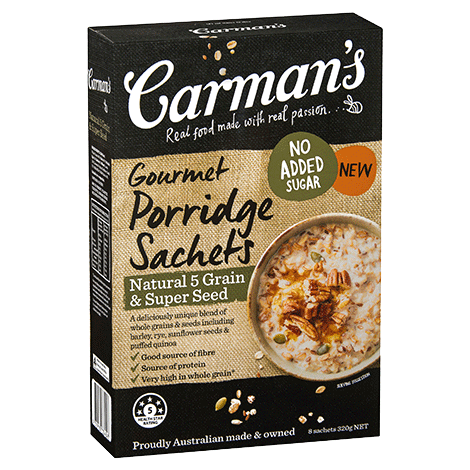 A deliciously unique blend of whole grains & seeds including barley, rye, sunflower seeds & puffed quinoa. Whole Grains 90% (Oats 50%, Triticale, Rye 15%, Barley 4%, Wheat), Seeds 10% (Linseeds, Pepitas, Sunflower Seeds 2%, Puffed Millet, Puffed Quinoa 1%). MAY BE PRESENT: PEANUTS, TREE NUTS, SESAME SEEDS, MILK PRODUCTS AND SOY.